Due to the threat of mosquitoes carrying dengue fever from August 2014, Yoyogi Park has been closed to the public since September 4, 2014. 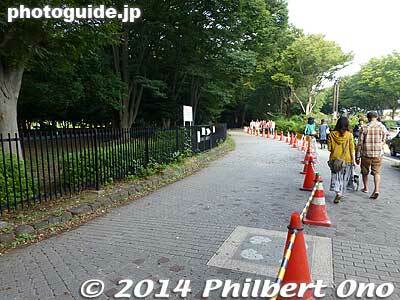 Here are a few photos of along the fringe of Yoyogi Park on the weekend of September 20-21, 2014. We just have to wait until colder weather for the mosquitoes to die. The birds, bugs, trees, etc., in the park must be happy to be left alone with no humans. 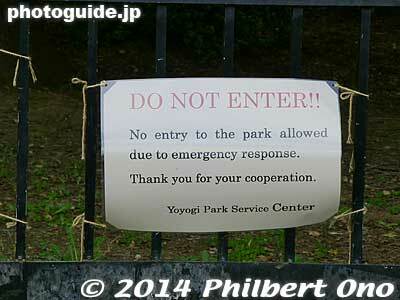 Yoyogi Park’s main gate is closed. 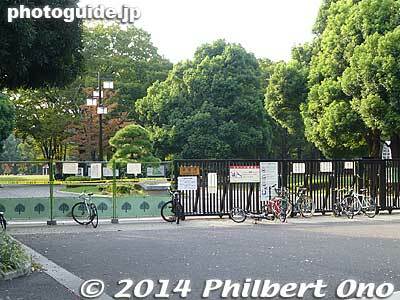 Even the perimeter of Yoyogi Park has been fenced off so we don’t walk too close. 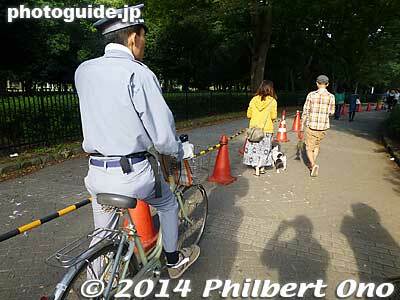 A security guard patrols the fringe of Yoyogi park. People walk past didn’t seem to be too concerned though. 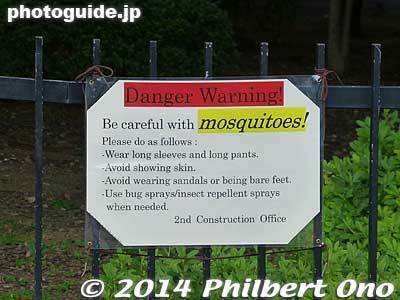 Although I did see one young lady spraying repellant on her miniskirt legs while walking. 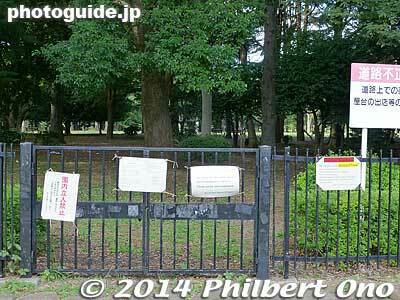 This side gate is closed with mosquito warning signs.